The National Day of Civic Hacking was born when some of the nation’s leaders in civic engagement decided to rally around a common goal on one weekend. 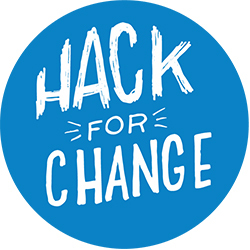 The National Day of Civic Hacking is a national community engagement event that will take place on June 6, 2015, in cities all around America. The initiative is a united effort to bring together a diverse group of concerned citizens to improve communities and the government which represents them. The event will connect software developers, entrepreneurs and concerned citizens from all over the nation so they can collaboratively create, build, and invent new solutions using publicly-released data, code and technology to solve challenges relevant to federal, state and local governments. The National Day of Civic Hacking provides citizens an opportunity to do what is most quintessentially American: roll up our sleeves, get involved and work together to improve our government. Government offices are providing data and technology to those citizens so that they can come together, propose meaningful, technology-based solutions, and have an impact around the issues they care about. What’s the value for an agency? Every agency has data—and every agency has a mission that impacts citizens and has stakeholders. The toughest challenges are not just in one community: they impact the lives of millions of people. The National Day of Civic Hacking offers a highly accessible opportunity for agencies to jump in, connect with people who care about their missions, and tap into diverse perspectives and contributions that might not otherwise be available to them. Demonstrating a commitment to the principles of transparency, participation, and collaboration. Exercising a government’s interest in using open data and technology, in partnership with others, to address real community needs. Liberating open data that can inform better problem solving in every community. Engaging citizens in cities with little technology infrastructure to contribute to changing their community through open source projects, open data, entrepreneurship and code development. Promoting science, technology, engineering and mathematics (STEM) education by encouraging students to utilize open technology for solutions to real challenges. Encouraging large scale partnership and mutual understanding. We look for challenge themes that excite citizens and encourage collaboration across the local, state and federal levels. 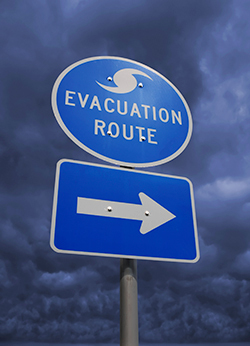 This year we are excited to offer three federal government core themes for civic hackers to focus on: “Oceans ’15,” Climate, and Disaster Response. Civic hacking during the event is in no way limited to these three verticals; they are provided to illustrate some major areas of interest where a collaboration could have powerful and immediate impact. Projects are also expected in the areas of Health, Justice and Open Data. Together, we are answering the president’s call to unleash information that fuels innovation and economic growth. It has been exciting to see the growth of the prizes and challenges work across the federal sector over the past several years; nearly every agency has stepped out into the challenge space in one way or another. The National Day of Civic Hacking, however, is a unique chance for us to do that together, and in a locally-grounded, citizen-driven way—inspiring new innovations (and equally important, new collaborations) that impact people in very real ways. We hope you’ll join us! More information can be found at the National Day of Civic Hacking website.Ali Llewellyn is an Innovation Strategist for NASA.